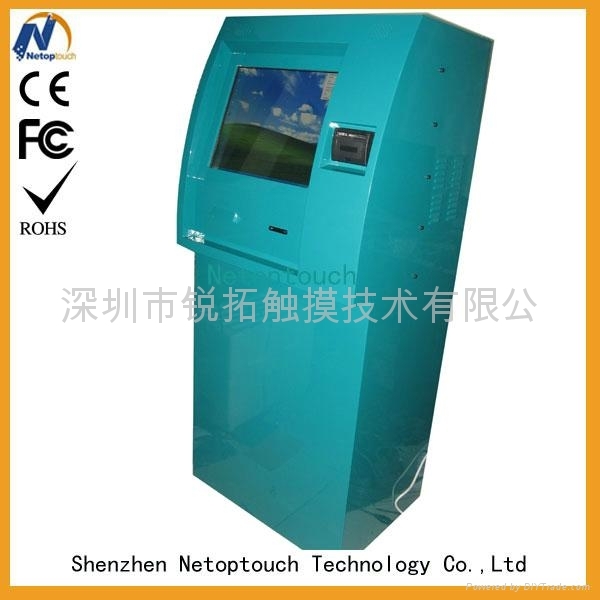 1.19'' durable cold rolled steel touch screen kiosk cabinet. 7. With OS, and internet wired access. Cause for SAW touch panel, it is easy to be dust. And capactive touch panel is too expensive. 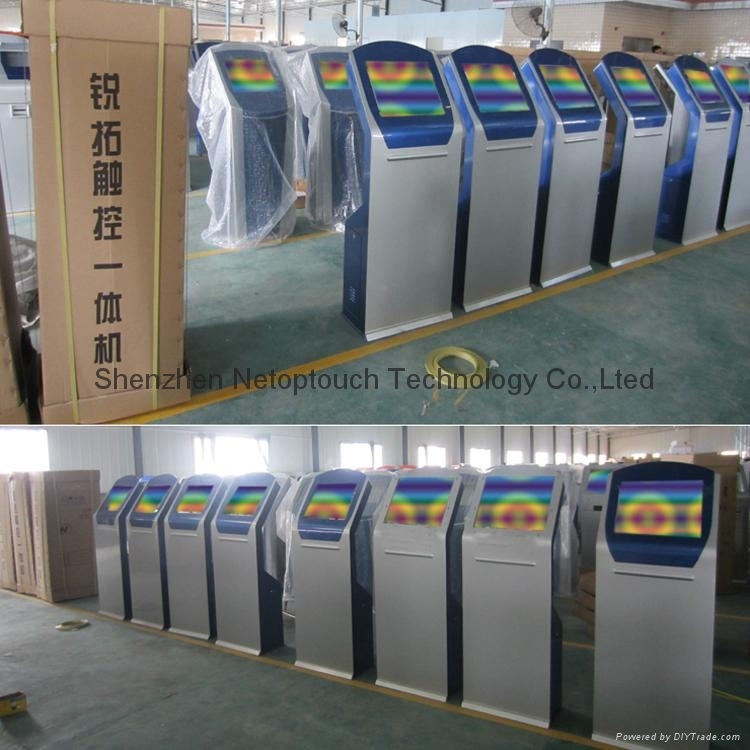 Infrared touch screen is sensitive and easy to maintain. All the PC accessorice will be put together within a steeless box. Card Reader, Digital camera, metal keyboard are available. 1. Warrenty: We provide one year warrenty for you. Warm welcome to contact me in case of any problem. a. Seafreight the most economical way, but it will take long time. b. Airfreight will be fast. While by air, the kiosk is about 120kgs, it will be expensive. 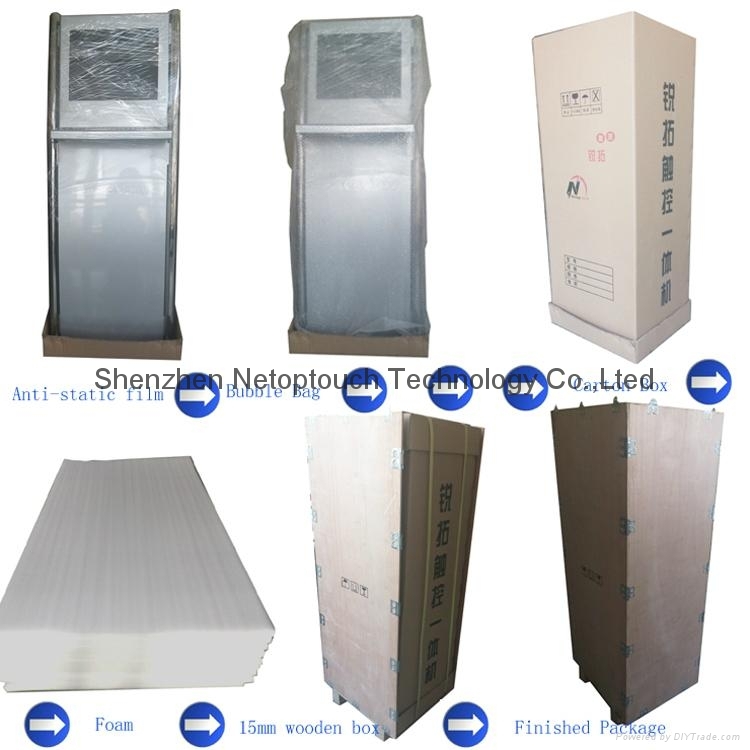 c. Express, such as DHL, UPS, door to door service, the weight for one unit kiosk will be about 100kg, if you are urge, it's a goodchoice. 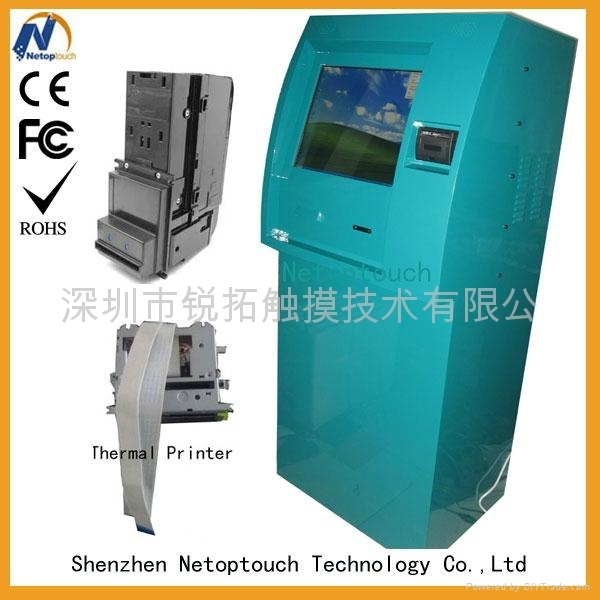 b. if the touch kiosk show nothing, open the back door with the keys, to check if the power swith became loose.